MicroGroms Junior Boardriders Surf Club was established in South Australia in November 1991, and was the first Junior Boardriders club in Australia. 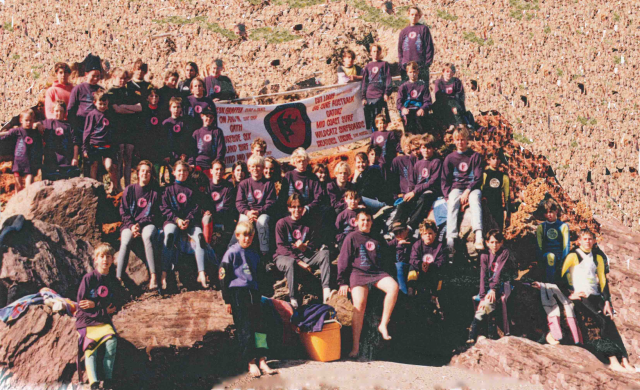 With approximately 35 members joining in that first year, the founders tried to incorporate positive values in the members and to cater for everyone. Every meet was a big fun picnic with family and friends, kicked off with a beach clean-up! They also got involved in community activities such as Clean Up Australia Day and Surfing for the Disabled, so that young members were giving back a little and not just receiving. 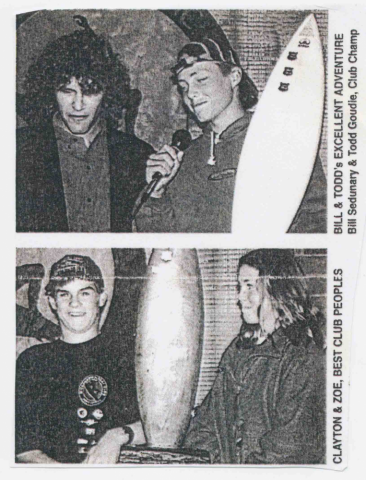 The club was formed by the following groms and their parents: Jay Vincent, Jason Keyser, Paul Benbow, Todd Goudie and Jarrad Howse. Many past MicroGroms members have retained the friendships made within the club, some have become professional surfers, or work within the surfing industry but most continue to enjoy the surfing lifestyle. Some members now sharing it with their own children, meeting monthly once again for MicroGroms contests, but now in a parent role! 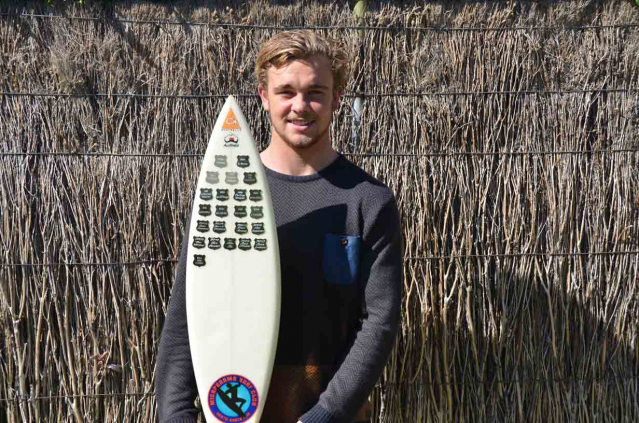 We still encourage all South Australian junior surfers interested in enjoying surfing, meeting other kids who love surfing, and improving their competitive surfing understanding and performance. Our 10 competitions per year are held at surf beaches on South Australia's Mid Coast, South Coast and Yorke Peninsula area. 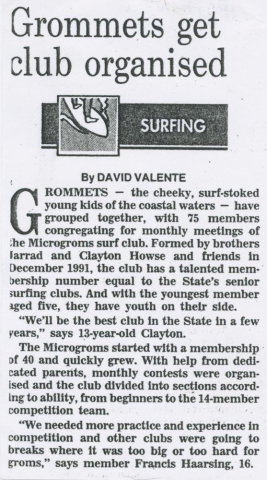 MicroGroms now has over 60 members and is still run by volunteers. A large Junior Club cannot ever be successful without the support of dedicated adults (usually parents and grandparents) and its that continued support that continues to make it so enjoyable for everyone. 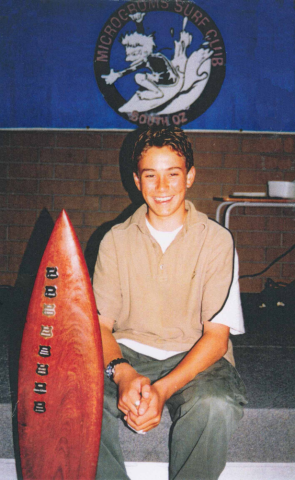 Some of our surfers have gone on to compete successfully at a state, national , and international level. Jarrad Howse, Dion Atkinson, Todd Goudie and Tom Watson all had their grass roots in the club. Thank you all for contributing to make MicroGroms the successful club that it is today!